To request that your event be added to the Steeplechasers Events calendar, please click on Add Event. 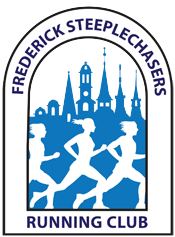 Race Directors should use this form to request that local running events (within 75 miles of Frederick, MD) be placed on our calendar. Your submission will be reviewed before publishing — this process can take several days. Note: FSRC reserves the right to choose which races are published. You need to be logged in to edit or list events. If you have an account, please log in below, otherwise please use the “Register” button at the bottom of the page to register. This race is run on the Seneca Greenway and Muddy Branch trails.